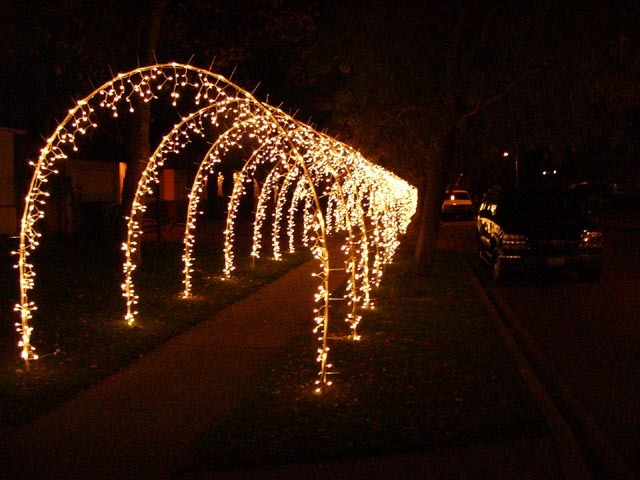 Here is my 2005 Christmas light display. 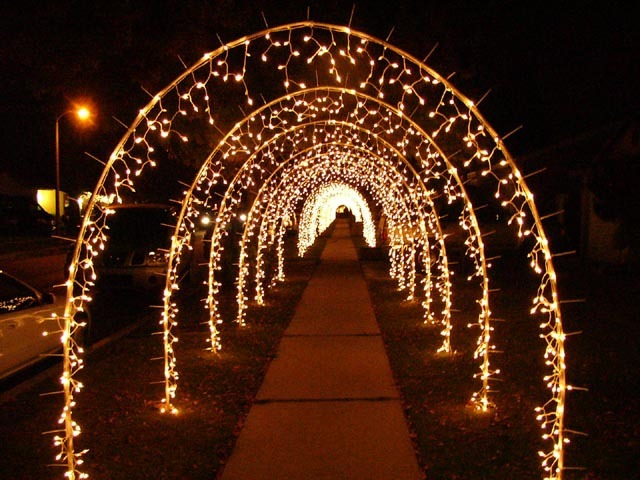 Each arch is 10 feet tall and 8 feet wide with 300 lights on each. 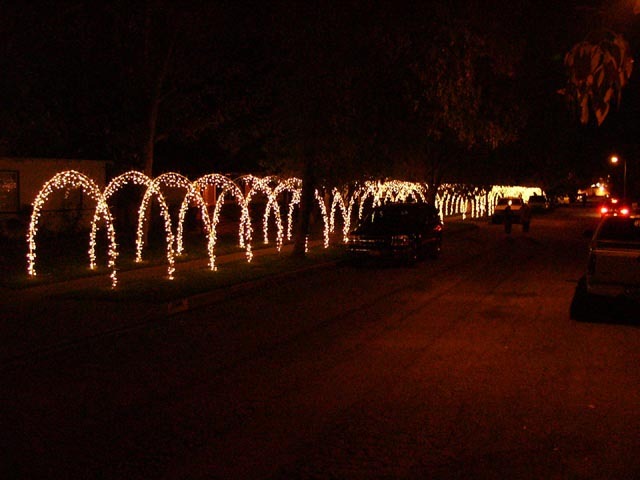 This Year I expanded my vision and with the help of my fantastic neighbors we made it happen. 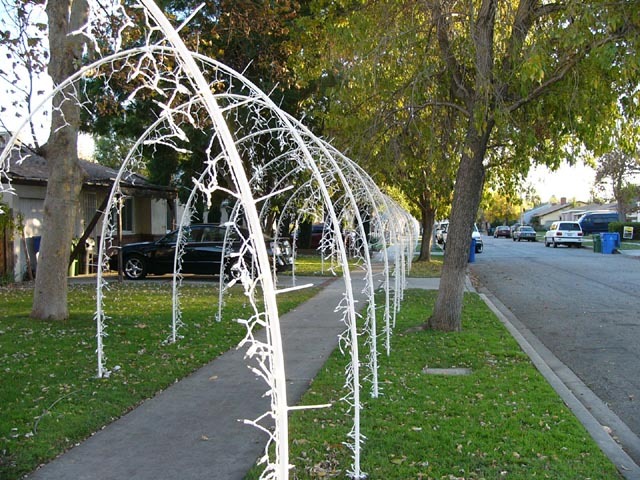 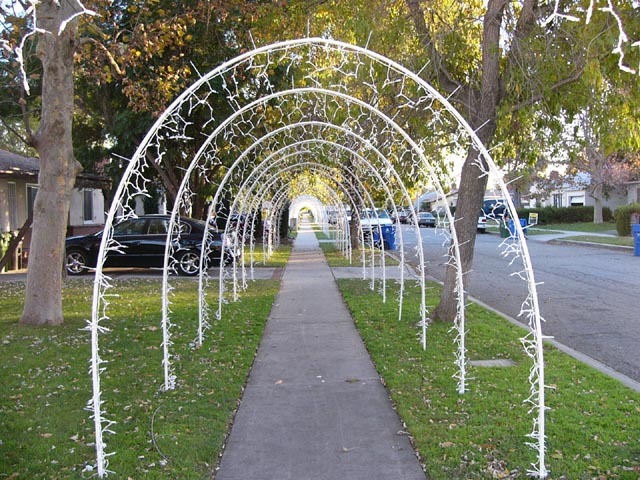 Pictured below is our Christmas Light Tunnel we assembled on our block, it has 59 arches 6 feet apart, each arch has 300 lights totaling 17,700 lights.